The Town of Troy Water Patrol serves Booth and Lulu Lakes. Download the Town of Troy Water Patrol Mission, Values and Vision Statement. This is only a summary of the Town of Troy local boating laws and of the below listed ordinance. Please check with the Town Clerk during normal business hours. “Slow-No-Wake” is defined as the slowest speed required to maintain steerage. “Traffic Lane” means that part of the lake lying more than 150 feet from shore, or from any dock, raft, or pier. From 7:00 pm to 10:00 am slow-no-wake. Except in the traffic lane, slow-no-wake. On all of Lulu Lake, slow-no-wake. All motor traffic traveling faster than slow-no-wake shall operate in a counterclockwise direction. Towing of two skiers is allowed on Mondays through Fridays, except legal holidays. In water skiing both boat and skier shall at all times remain in the traffic lane. No water skiing or aquaplaning or similar device between the hours of 7:00 pm and 10:00 am. Contact the Wisconsin Department of Natural Resources www.dnr.state.wi.us or (608) 266-2621 for personal watercraft regulations and boater safety information. Lake facts are provided by the Wisconsin Department of Natural Resources. For more information about our local lakes or any lake you can contact the DNR. Booth Lake is approximately 113 acres with a maximum depth of 24 feet. A boat ramp provides access to this lake. This lake is a seepage lake and contains Large Mouth Bass and Pan fish. Lulu Lake is approximately 84 acres with a maximum depth of 40 feet. A waterway provides access to this lake. Lulu Lake is considered a kettle lake. This lake contains Northern Pike, Large Mouth Bass, and Pan fish. Of the 150 fish species native to Wisconsin, 59 can be found in Lulu Lake and the Mukwonago River! The river is home to several rare fish species, including the longear sunfish. The clear, deep lake water provides habitat for glacial relict fish such as the blackchin shiner and the Iowa darter. 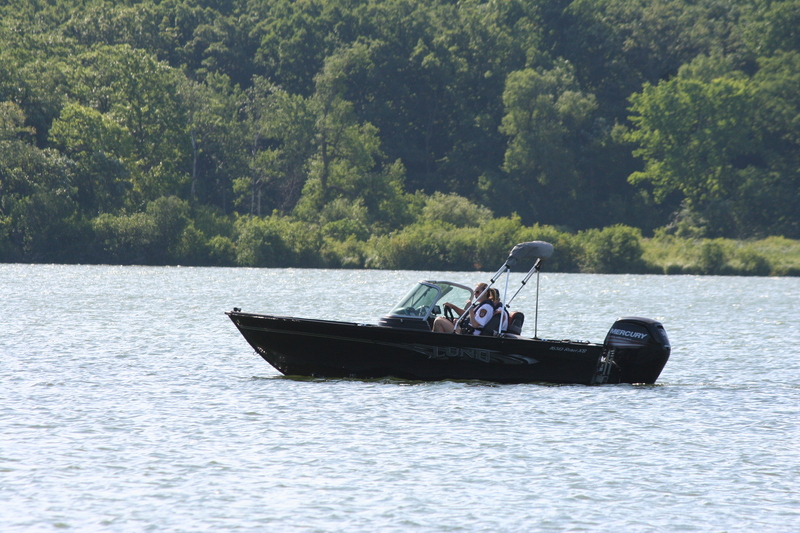 Enjoy our lakes and have a safe boating season!